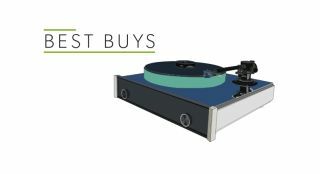 Best high-end turntables 2018 | What Hi-Fi? Is vinyl is your format of choice? Do you want the best possible sound from your records? And (last but not least) do you have the necessary budget? Yes? Then these are the decks you need to know about. We have high standards in general, but when it comes to high-end turntables they're a little bit higher. That's because these things don't come cheap - quite the opposite - and we know the people buying them have the same exacting standards. These are finest high-end hang-the-expense record players to have graced our testing rooms. There aren't too many retail prices listed here - products as esoteric as these are quite often only available through a select few outlets. But there are links to each and every review, so you can get a proper feel for just how capable these record players are. The RP8 is the most ambitious Rega turntable we've ever heard - it shoots for the stars, and scores a direct hit. Trust us, you won't be disappointed. A previous Award-winner, the Prime is good enough to remind you why you got into hi-fi in the first place. This is the Clark Kent of turntables - its superpowers are hidden under its conventional looks. It's a pleasure to use, and expertly treads the fine line between excitement and refinement. Visual flair comes courtesy of the light-up platter, while electronic speed control makes it super convenient to use. Linn's LP12 is one of the finest turntables around. This Klimax version may be expensive but it is a massively capable and neatly configured deck. Woof. A vinyl player that puts our (admittedly considerably less expensive) reference kit to shame, the Kronos is authorative, open, and a hugely capable product. The Rolls Royce of turntables.